Donato Antonio Lombardi, and his wife, Maria Giuseppa Battista, first appear in the Painesville, Ohio, area in 1894. 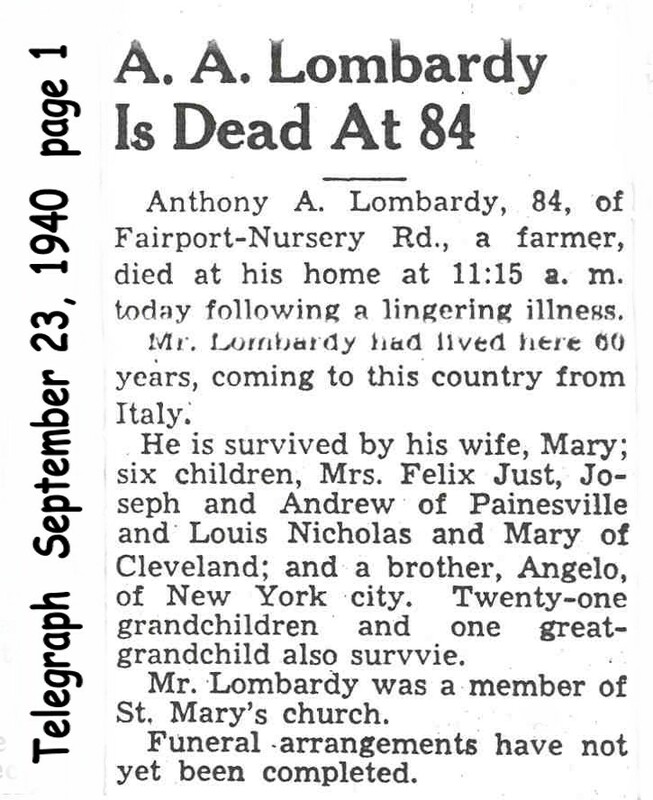 In America, Donato Antonio Lombardi was known as Anthony A. Lombardy. 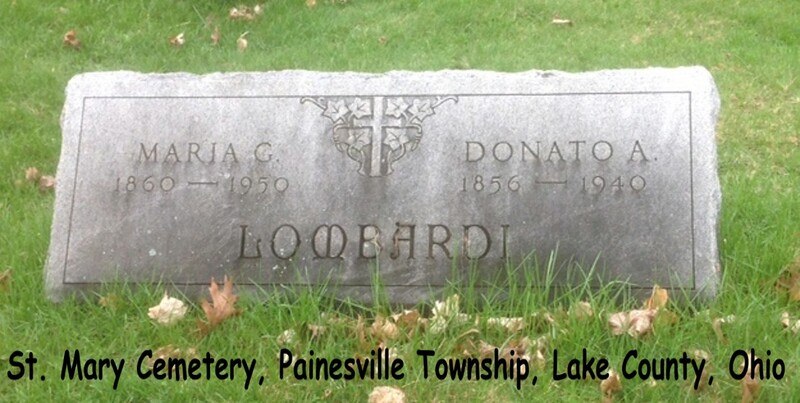 The Lombardi’s were among the first Italians living in Painesville. Donato Antonio Lombardi, son of Andrea Lombardi, was born on February 9, 1857, at Casalciprano, Italy. He married Maria Giuseppa Battista, daughter of Luigi Battista and Giuseppa Ciolf, in 1885. 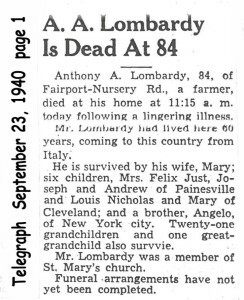 Donato died on September 23, 1940 at his home, Fairport-Nursery Road, at Painesville Township, Lake County, Ohio, at age 83 of cardiac decompensation. His body was interred at St. Mary Cemetery at Painesville Township, Lake County, Ohio. Donato Antonio Lombardi, age 29, first immigrated to the United States on February 26, 1886. Donato Antonio Lombardi is shown as re-entering the United States on January 4, 1893, accompanied by his wife, Maria Giuseppa Battista, and daughter, Armonia. Donato Lombardy became a citizen of the United States on September 22, 1898.